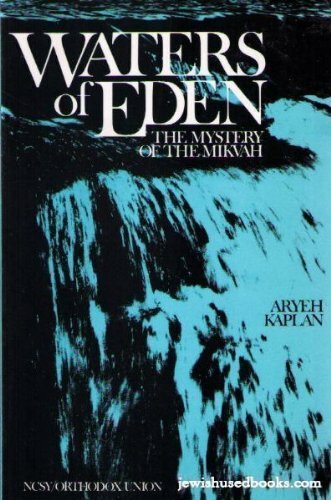 Summary: An exploration of the Jewish teachings on Mikvah (a special pool or body of water for ritual purification) in the written and oral Torah. Recommended by: A messianic Jewish website I can’t seem to find now, sorry! My Thoughts: This is the first non-fiction reading I’ve ever done on Judaism, and I found it fascinating. I was prompted to buy this book during my memorization of Matthew 3. I wondered where, exactly, the ritual of baptism had sprung from, when there was no record of it in the Old Testament and suddenly everyone was familiar with it when John the Baptist entered the scene. What was it about baptism that Christ needed to do in order to “fulfill all righteousness”? What was the Jewish understanding of baptism when Jesus entered the waters of the Jordan? Did I find the answer to my questions in this book? Sort of. Better understanding the Jewish traditional roots and understanding of baptism at the time of Jesus’ baptism helped make it clearer to me the notions of purification, rebirth and repentance, and consecration that would’ve surrounded immersion. One interesting side note is that baptism was generally for converts to Judaism, so when John called for repentance and baptism, he was calling his fellow Jews to something radical. So why did Jesus say, “It is proper for us in this way to fulfill all righteousness,” when John objected to baptising him? I’m not sure. I think, though, of the roots in Sinai that Waters of Eden presents. In Matthew 4, right after his baptism, Jesus goes out into the wilderness to be tempted, and his responses to the tempter’s wiles are all taken from Deuteronomy, from areas where Israel failed their tests. If his baptism, then, represented his assumption of his active role as the bringer of the kingdom of heaven, the true child of God in perfect obedience, baptism could be seen as his commitment, and his wilderness trial the mirror of Israel’s. It’s admittedly only a theory, but either way, I’m glad I read this book, as I think it added depth and richness to my thinking; I’d like to do more reading on Judaism, the oral Torah, and the Second Temple period. One of my New Year’s Resolutions this year was to memorize the book of Matthew. The idea came from a few different sources. The first was this post on Changing Your Mind, which in turn introduced me to the book How To Master the English Bible (only available on Kindle that I’ve found; linked through my Amazon Affiliates account.) The basic concept is to read each book of the Bible over and over again until you’ve mastered it– deeply absorbed it, grasped the themes and messages, made it your own. I started with the book of Matthew, and in the course of my reading, read a lot about the way Jewish children were raised in Jesus’ time. I’m so impressed with the way Jewish children memorize the Torah from ages 5-12. Having read that often devoted students would go on to memorize the remainder of the Tanakh, I was struck by the idea that Christ might’ve had the whole Scripture (of his time) memorized! So why not me? Although starting at five books would’ve given me a more leisurely schedule, I discovered that I could do the entire Old & New Testament over the next 25 years, at the rate of 1300 verses a year, or about 25 a week. Now, I know that sounds like a lot, and that’s where the next piece of the puzzle slots in: Scripture Typer. Seriously, buy it– it’s well worth the $10 price. With Scripture Typer’s automatic system of review, I don’t have to get my 25 verses word-perfect in one week. I just have to be able to type it at 92% accuracy. Then, over the next few weeks as it pops up for review, I get more and more accurate with it. The upshot is that with about 20-30 minutes a day (which I do first thing in the morning while the boys have a snack and read in bed), I’ve memorized Matthew 1-7 since January 1st. Eventually, I’d like to do a modified version for my kids to use. 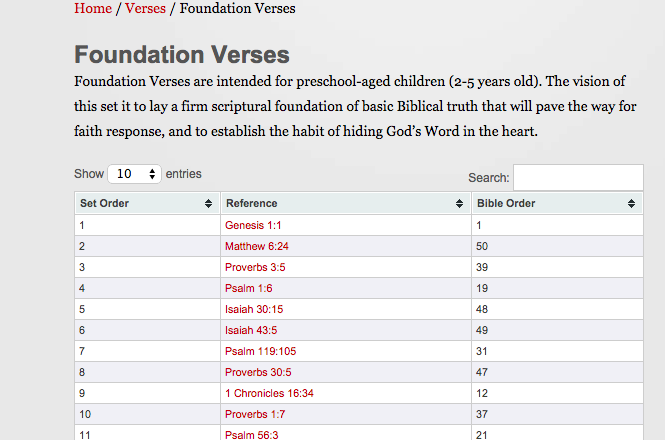 Perhaps starting with the first five books of the New Testament from ages 5-12, and then if they’d like to continue, handing them over to Scripture Typer with a plan adjusted for the books they’ve already memorized? I’ll have to think on it. If you’re interested in trying it out for yourself, here’s a PDF of my 25-year plan. And I’d love to hear of any resources for memorization or tricks you guys use! 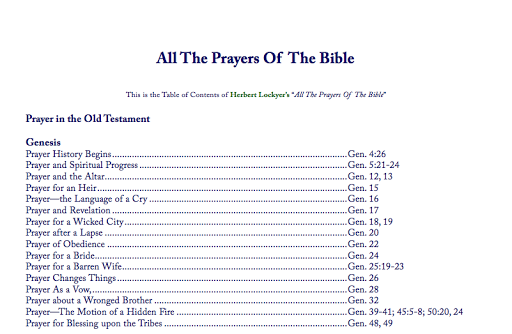 A complete PDF list of all 650 prayers listed in the Bible. What a fascinating study this would be! “1. Choose a book of the Bible. I have been working my slow, sporadic way through the Bible for the last four years or so, and am currently in Luke. I struggle with slowing down to meditate or muse on the text– as a reader I read to kill: fast and ruthless with zero patience for reading extraneous details, often taking in whole pages at a glance or two. This is a great method for breezing through fiction but it isn’t a great method for mining the depths and riches of Scripture. I have been so appreciating already my second read-through of Luke; there are so many insights I missed, questions I didn’t even think to ask, and details that slipped through my speed-reading fingers the first time around. It’s a little early to say whether my mind has been changed, but I’m looking forward to continuing this journey. *This is from his 1904 book How To Master The English Bible , available in a $0.99 Kindle edition. Linked through my Amazon Affiliates account. For Bible, we’re not really limiting it to one day but rather doing things like praying, reading together, singing, memorising Scripture, learning catechism, etc. over the course of our weeks. We have started memorising our way through these Foundation Verses from Desiring God ministries. I don’t have much of a system, just saying the verses lots and using our sign language where we can.